Put simply agroforestry is farming with or in between trees. This isn’t a new concept and has been practiced for thousands of years though more common place in Europe where farmers are cropping fruit trees and livestock together. 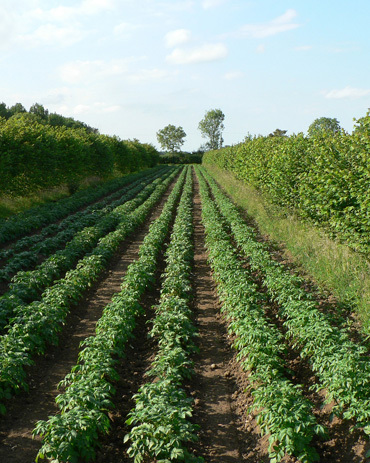 In the UK agroforestry is an emerging innovation providing multiple benefits for the farmer looking at new enterprises that can complement an existing farm system whilst making use of the sun’s energy to produce additional cropping and income – 3D farming. Agroforestry can be used for single or multiple purposes, providing fruit, timber and resource protection for soils and water. Our working farm in Cambridge provides a direct resource for us to benchmark data and farming practice so our team can tailor an agroforestry system for your farm. We have listed just some of our agroforestry services below, but please call, or email: advice@abacusagri.com to discuss your own specific requirements. 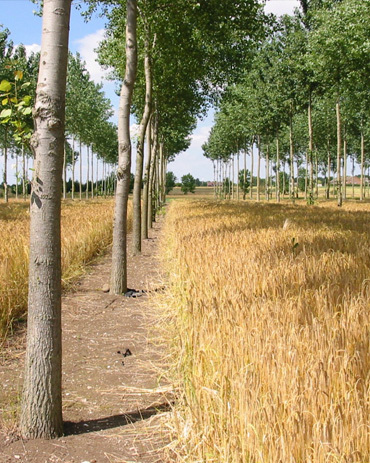 Abacus provides agroforestry advice across a wide range of farm types and enterprises. Our services follow best practice principles for trees, soil, air and water to compliment everyday farming and production. Our team of consultants provide technical expertise across a broad range of livestock and cropping systems, managing agroforestry projects for farmers across the UK and Europe. Abacus is able to offer practical agroforestry advice that integrates with farm production. Our team of professionally accredited consultants work with agroforestry researchers and industry initiatives to provide best practice advice and integrated farm management solutions that meet with current codes of practise and legislation. We also work closely with research and development institutes in the UK and Europe and are involved with knowledge transfer projects in many areas of agriculture. Our farm consultancy services are tailor made to your business.